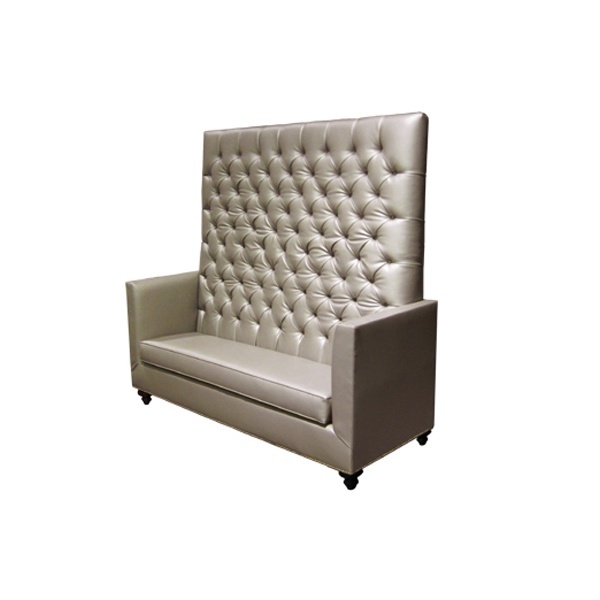 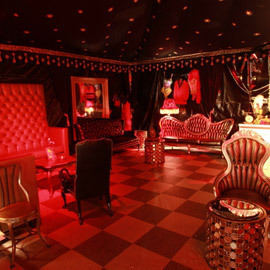 Tags: Hollywood Regency, tufted, sofa, vinyl, exaggerated, Silver, platinum, banquette. 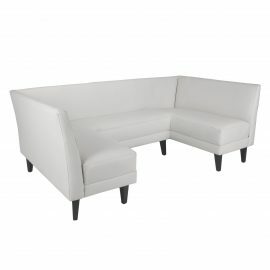 FormDecor offers a collection of banquettes! 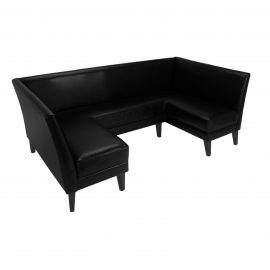 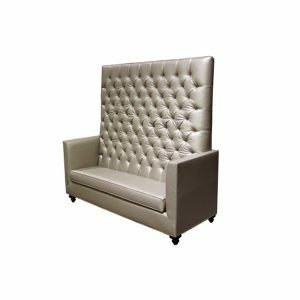 The Grand Banquette has beautiful exaggerated lines, upholstered in silver platinum simulated leather with brass nail head accents and black turned legs. 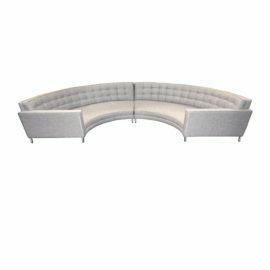 The Grand Banquette works well with a Hollywood Regency setting.